Projektet er støttet af Global Libraries-initiativet under Bill & Melinda Gates Foundation. 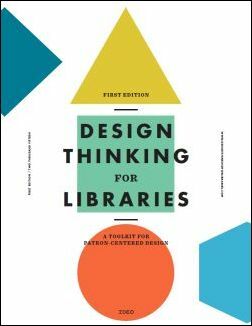 IDEO, Chicago and Aarhus Public Libraries are pleased to present the Design Thinking Toolkit for Libraries. The toolkit can be used by any front-line library staffer to adapt to library users’ changing needs. The toolkit guides you through Design Thinking so you can start coming up with solutions to everyday challenges within the library. Design thinking, or human-centered design, is all about starting with people — the users that visit your library. IDEO have been using similar methods to envision new products, services, spaces, and experiences in other business areas. IDEO created this toolkit specifically for the library setting in close cooperation with the project teams at Chicago and Aarhus Public Libraries. The toolkit comes in two parts: the toolkit guide, and the accompanying activities workbook. If you don’t have much time then download the ”At-a-Glance-Guide” which introduces how you might get started using design thinking over the course of one day. The toolkit is created with funding from the Bill & Melinda Gates Foundation – The Global Libraries initiative.